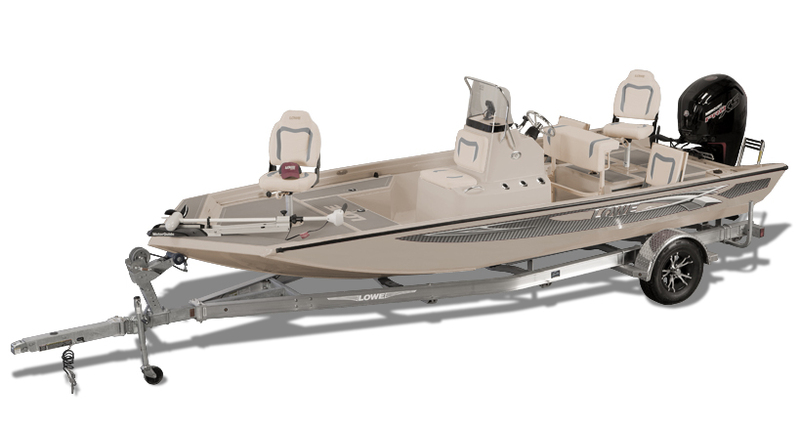 Spinning or baitcasting, drifting the reefs or fly fishing the flats, the ‘all-new’ 2019 22 Bay boat is designed for the serious angler. 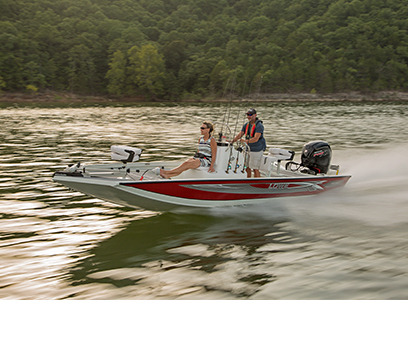 The 20 and 22 Bay's performance-tuned modified deep-V hull delivers confident handling and blistering top-end speed. 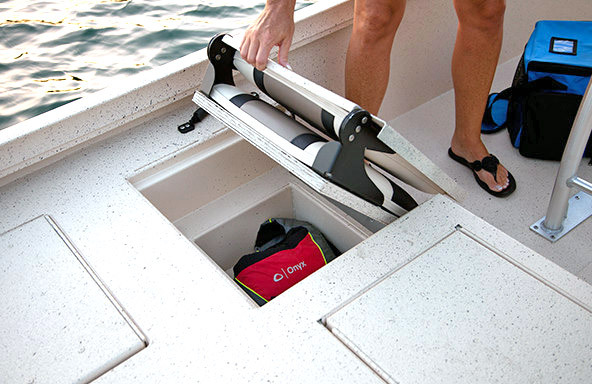 It will creep into backwaters with ease and run smooth and shallow when you need with the optional factory mounted jack plate. 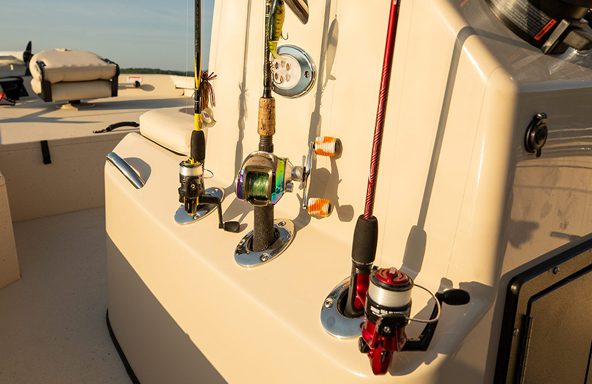 With the available salt-water package, the wide-open bow platform will get you casting into the flats where tarpon, bonefish, and redfish thrive. 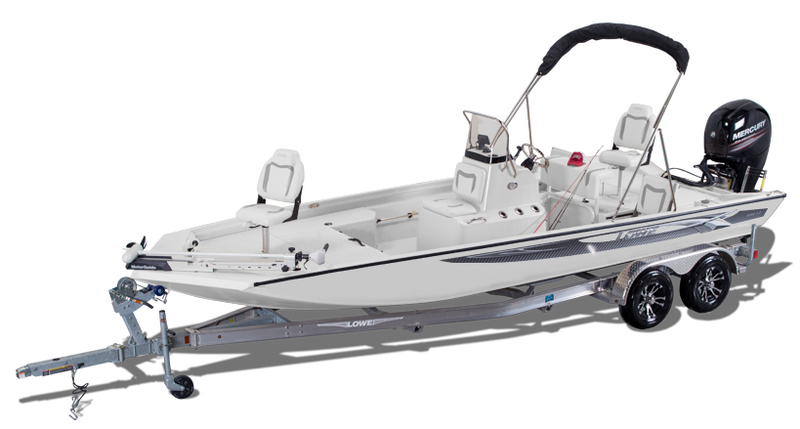 You get the picture, not the same old aluminum bass boat conversion with a center console stuck in. 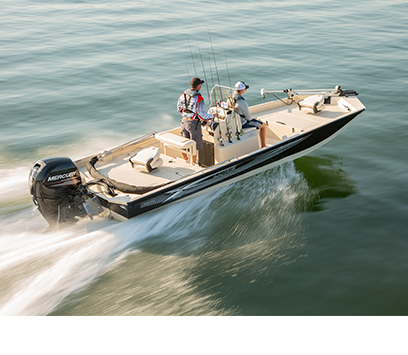 No, these are the real deal - just check out its credentials. 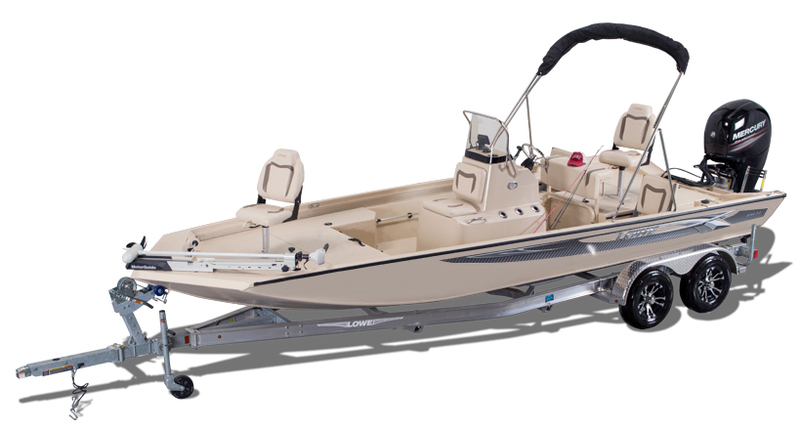 Stand tall behind the wheel of the fiberglass center console with a padded leaning post (plus footrest), stainless steel grab rails - navigate freely with the included compass, windshield, and analog gauges. 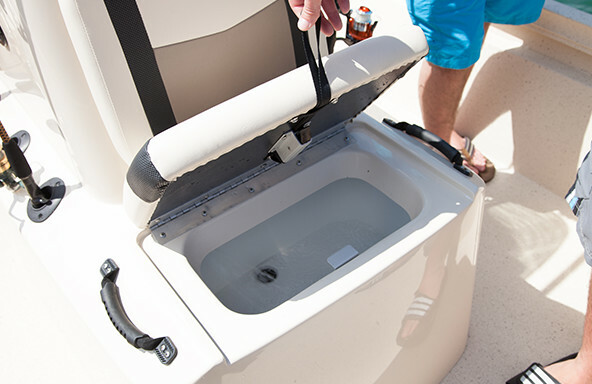 The spacious cockpit of a Lowe Bay Boat makes it one of the most complete and feature rich aluminum center console boats on the market with clever battery storage underneath the console, and a 30 gallon aerated aft livewell located behind the leaning post. 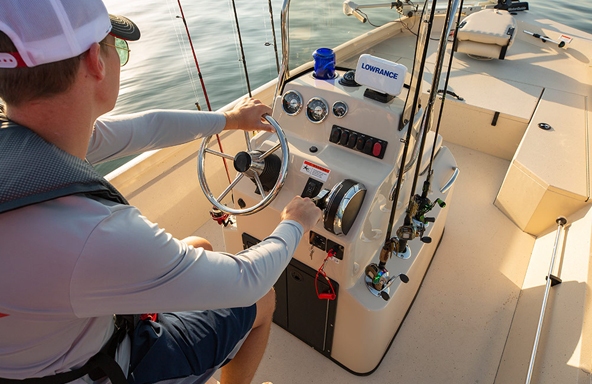 The bow-side of the feature-rich center console has a handy 16 gallon under-seat baitwell, keep anglers fishing out of the bow reeling in fish all day long. 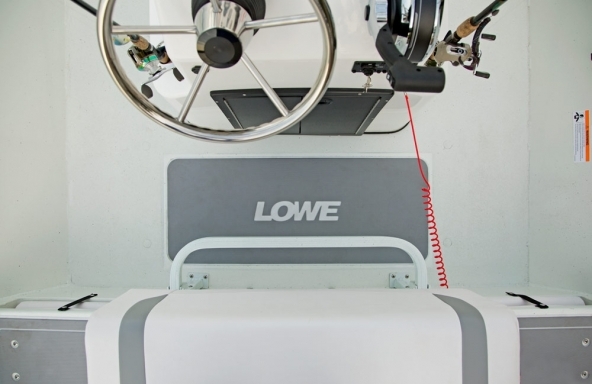 Keep your favorite rods rigged and ready, because the pro-style Lowe Bay Boat series center console features 6 vertical rod holders in addition to the port and starboard rod lockers. 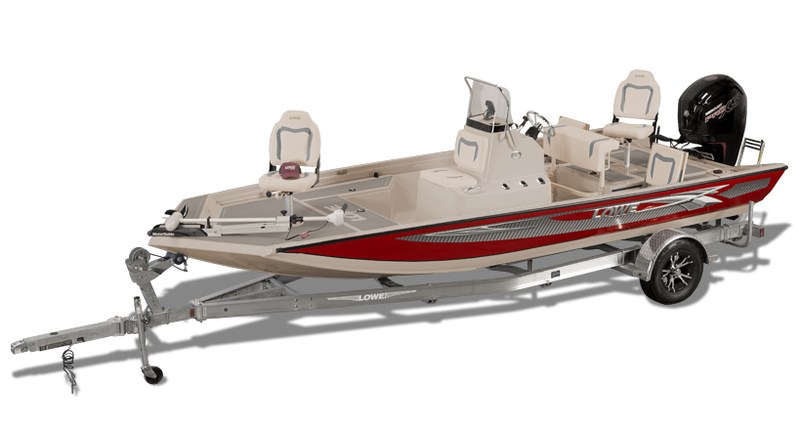 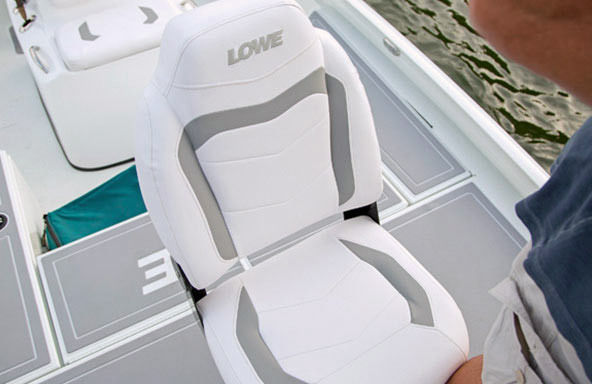 A pair of aft fold-down jump seats provide extra seating while underway without giving up casting space when fishing.